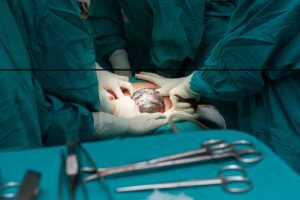 Emergency Caesarean - The moment you are told "you aren't doing it right"
While all experiences of pregnancy are different, most women hope for an uncomplicated birth. Unfortunately, that isn’t always the case. 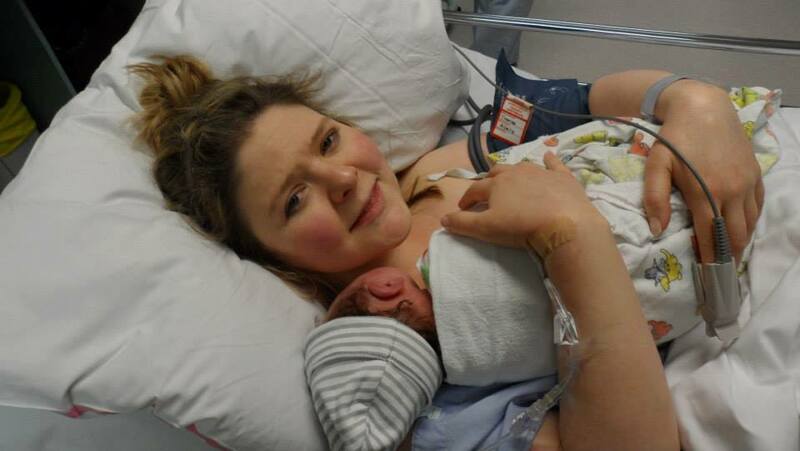 The gorgeous Belinda shares her story with us today of having an emergency caesarean after being told she wasn’t doing the right thing. 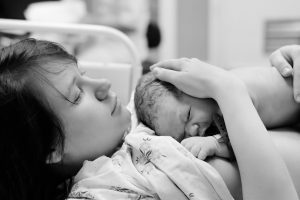 We hope her story will help other new mothers to stick with their instincts and get the support they need. There’s nothing more amazing than finding out you are pregnant. The journey just to get to those two lines on a stick can be long and emotional. For us it was 2 years. I remember saying to my husband after I told him I was pregnant that I didn’t feel any different. I don’t know what I was expecting, but whatever it was didn’t happen. I went to work that day secretly excited knowing life would never be the same, but my day went along as it usually did. In fact, every day of my pregnancy went along perfectly. I was one of the lucky ones. I didn’t suffer morning sickness and my body seemed to love being pregnant. Strangely enough, I even lost weight in the first few months because I craved nothing except ice cold fruit smoothies! Strangely, my only pregnancy issue was low blood pressure. I know I was very fortunate and I never really speak of it because in a way I feel guilty knowing so many Mums don’t get to enjoy their whole pregnancy. But, it didn’t last and I certainly wasn’t prepared for what followed. I had read the fluffy pregnancy books that tell you how it is meant to be, what you should and shouldn’t eat and what to do when labour starts. What they don’t tell you though, is what to do when something doesn’t go right. Or what to do when your trusted midwife tells you “You didn’t do it right” the moment before you’re forced to sign the emergency c-section waiver. Yep, that happened. Rewind 40 hours before to the moment when my waters broke. My husband was on the phone to the hospital quicker than I could find a towel. The hospital told us to come in for a check-up and hopefully the labour would start soon after. We packed the car and made the 45 min drive to the hospital. We arrived at the hospital and the doctor who was tending to me hooked me up to machines to monitor my baby. We were there for around 6 hours before we were sent home because they didn’t have a bed and contractions hadn’t started. We were secretly relieved because the lovely doctor was suffering a bad case of Bronchitis which was stressing me out no end. Seriously, who works around pregnant women sick. It wasn’t until 1am the following morning that contractions started. They were steady until the moment we left for the hospital at 8am and then stopped. Not one contraction all the way to the hospital. When we arrived we were taken to the labour ward where they finally had a room for us. I was hooked up to the machines and given the inducing drug to kick start the labour again. Now, I’m not sure if the dose was wrong or I had a reaction to it, but I had a 3 minute contraction! I’d never given birth before, but I was pretty sure that wasn’t supposed to happen. Needless to say, the machine was turned down pretty darn quick after the midwife realised. I tried to battle it out without the drugs, but after 3 hours I gave in. Actually, it was my husband who gave in for me and I am glad he did. I was pretty proud of myself to get that far, but looking back now, there’s no prizes for doing it drug free. If you need the pain relief, ask for it because it’s seriously amazing and saved my sanity. During the labour they discovered that my son had turned and his back was against mine. No one knows when this happened, but to not have been picked up before then was a concern. My anger toward the doctor from the day before grew a little more! Being OP (or back to back) meant that the pushing was going to be harder because he wasn’t sitting the right way for a safe delivery. At 8pm I was finally fully dilated and it was time to start pushing. The midwives were set up for delivery and I was placed in the elegant position ready for the big event. You know the one! An hour of pushing and nothing was happening, so the midwife calls the doctor. He comes in with machines that I don’t even want to know what they are for and huge forceps that would serve a mean salad. In fact, I wish they were just salad servers. He tried to get my son out with forceps and as soon as he tried to pull him out, his heart rate dropped and the machines were screaming and lighting up. All of a sudden a cast of thousands come rushing in and I have a clip board placed under my nose. “Sign this” I was told. Absolutely exhausted I asked what was going on. The midwife turned to me and said “You didn’t push properly so you have to have an Emergency Caesarean”. Tears streaming down my face and fear for my son, I signed the form. I don’t even know what it said. Meanwhile my husband summons the doctor out of the room and tells him in no uncertain terms to remove that midwife or he will. Fortunately we never saw her again but the damage was done. 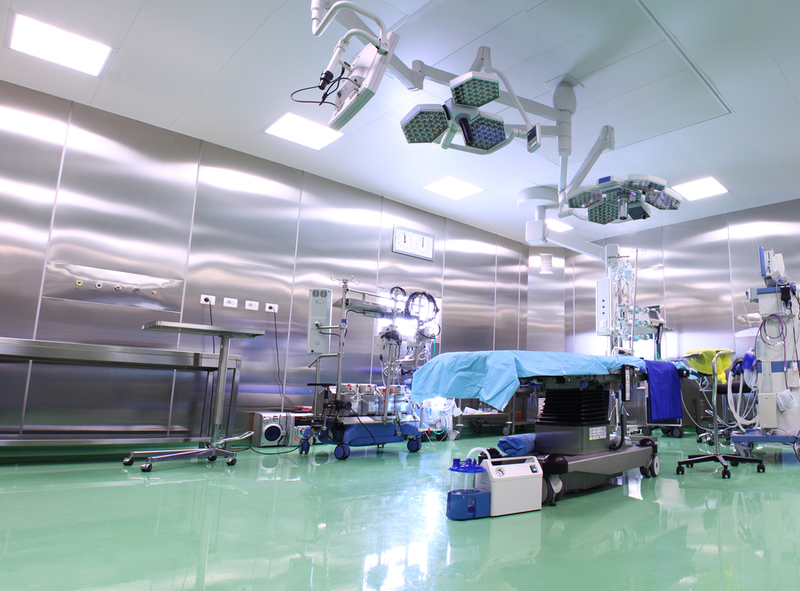 We were rushed up to theatre where they prepped me for surgery. The anaesthetist gave me the local anaesthetic and we waited for it to take effect. But it didn’t. She gave me a little more which took me to the max dosage they could give me. I’m guessing that because she was more interested in the text messages on her phone rather than what she was giving me, she didn’t give me the correct dosage because it still didn’t work! I could feel the ice pack on my stomach and the pinprick on my toes. Yes, she was frog-marched out of the room as well. So, the only thing left to do was to give me a general anaesthetic and tell my husband he has to leave the room because of surgery rules. He stayed with me until I fell asleep and the next thing I remember was waking up alone in a cold room at midnight with tubes down my throat. It felt like an eternity before I finally saw my son for the first time. He had been cleaned, his cord cut and was dressed and wrapped by my husband who had even put on a little beanie to cover his swollen head. He was born at 10:46pm. I know what you are thinking… is this story real and if so what hospital was this? Yes, I can assure you it happened. My regret is not taking it further because looking back writing this, I realise just how much of a cluster it all was. At the time, you just want to get your baby out safely but how much of what happened could have been avoided. Mums, it is a tough time and when things don’t go the way they should, you need someone you trust in your corner. Honestly, I don’t know where I would have been without my husband supporting me. The days that followed were the toughest of my life. 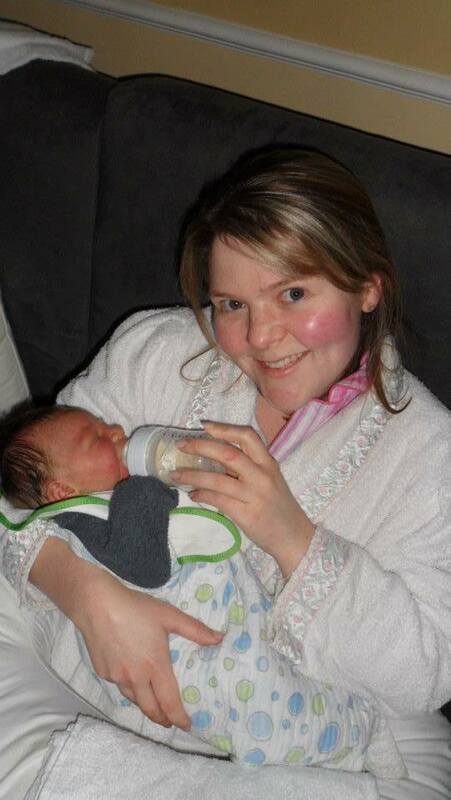 The trauma resulted in poor milk supply and an inability to properly breastfeed my son. After struggling for 2 weeks I was again encouraged by my husband to bottle feed. Not because it was easier, but he could see how much I was struggling emotionally and physically and knew I wouldn’t make the decision myself. But it didn’t change the fact that I felt like a complete failure. The pressure to breastfeed is just too much in today’s society and when a series of events takes that away from you, you get angry. You get depressed. You feel like you aren’t a good Mum. Please Mums, don’t ever feel pressured to feed your baby a certain way. I am a firm believer that fed is best because you don’t know someone’s situation. My son is now 4 and is happy and healthy and is exceeding milestones. Knowing what I know now, I wouldn’t have battled for as long as I did. But for so long I felt like I had so much taken away from me. From Us. Neither of us got to see the birth of our only child. I missed the skin to skin bonding time immediately after he was born. I was unable to tend to him the way I wanted or hold him properly because of the pain. 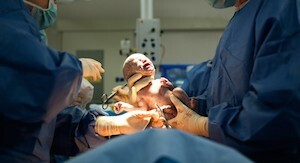 The pain I felt from the c-section was horrific because of the nature of the surgery and the rush the doctor was in due to the issues we had. I remember the lady next to me had a c-section as well and she was fine afterwards. Why was I so different? But like with everything, no two births are the same. No two stories are the same and we each have to learn to live with our story and see the light through the darkness. And in response to that lovely old midwife who blamed me for failing to deliver my son properly. It actually turned out that the cord was wrapped around my son in the womb. So no matter how hard I pushed, he was never coming out that way. So, whilst it didn’t change anything at the time and those words still ring in my head, I know deep down it wasn’t my fault. So Mums, even though you may be going through a tough time, all you can do is look back and then look at your child and realise it’s part of the journey. Good or bad, it happened and you can’t change it. What you can do though, is share it for other Mums so they can see they are not alone. So I am sharing my story so you can know you aren’t alone. The days when you are struggling, you don’t have to hide it. I did and it made it worse. There is a belief that you have to appear like you are coping or look like Kim Kardashian two days after you have given birth. It isn’t real. Trust me. It’s three hours with a team of hair and makeup artists and a whole lot of painful surgery. Seriously, who has time for that! Real is unwashed hair, no makeup and track pants with holes in them. Real is getting use to drinking iced coffee and seeing the washing piled up on the spare couch. Real is celebrating the first time you make it through the day without crying a single tear. That is real and that is perfectly ok. So, don’t let someone tell you that you are doing it wrong because you’re not. You are doing it right for you and your baby and that is all that matters. 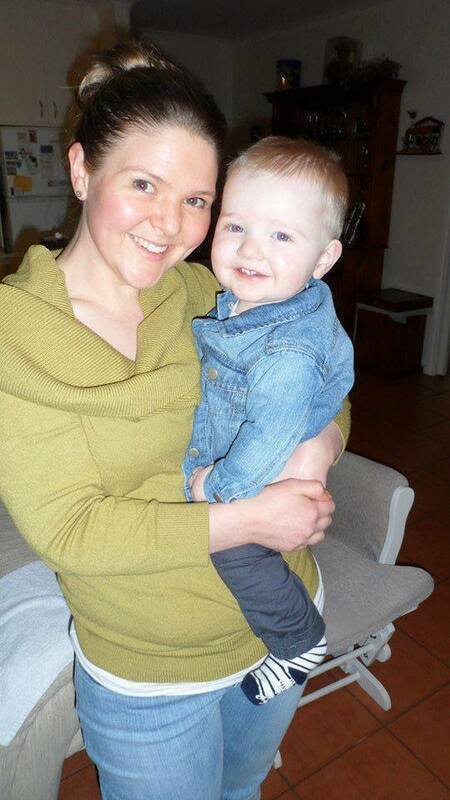 Belinda Owen is a Mum to a very spirited and energetic four year old boy. Leaving the corporate world behind to look after her son, she went from Property Manager to business owner managing her own work at home business. Belinda built and created an online baby boutique which she ran for 18 months before on selling it to focus on her new found passion for helping small businesses. Belinda now uses her business knowledge to help fellow Mums build their own businesses through website designing and blog writing. Belinda can be found at www.belindaowen.com and www.facebook.com/belindaowenva .